Urban columnist and author SHAWN MICALLEF will be visiting Windsor Public Library (850 Ouellette Avenue) on Thursday, May 25, 2017. The 7 pm appearance is the third in a series which Windsor Public Library has scheduled to commemorate Canada’s 150th birthday. He will be in conversation with WPL Board Director and City of Windsor Councillor, Rino Bortolin. Born and raised in Windsor and a graduate of St. Anne’s HS and the University of Windsor, Shawn Micallef is now a Toronto-based urban expert. He is the author of Stroll: Psychogeographic Walking Tours of Toronto and Full Frontal TO (nominated for the 2013 Toronto Book Award). He also writes a weekly column for the Toronto Star, and is a senior editor and co-owner of the independent, Jane Jacobs Prize-winning magazine Spacing. Micallef explores public spaces, and both speaks and writes about downtowns, suburbs, and what makes them great. He is a leading authority on Canadian urbanism; while he has written extensively on our provincial capital, he has also written about Windsor. He also co-founded [murmur], a mobile documentary project started in Toronto that blends storytelling with urban landscapes; the project has now spread to more than 20 countries. He teaches at the University of Toronto, and OCAD University. 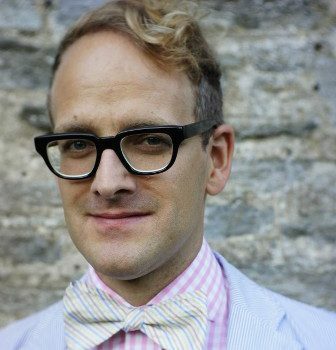 A 2011-2012 Canadian Journalism Fellow at the University of Toronto’s Massey College, Shawn was also the Toronto Public Library’s urban focused Writer in Residence in 2013. His newest book, Frontier City: Toronto on the Verge of Greatness, was published in February 2017. The community is invited to attend this free event to hear Shawn talk about his work and then join him and Councillor Bortolin for a walking tour of the Windsor landscape around Central Library. 1 Response to "Shawn Micalleff To Visit Windsor Public Library"
Great to see the Windsor Public Library bringing in Civic minded speakers. Missed Shawn’s lecture due to a previous engagement, but I was able to catch his walking tour along with Councillor Bortolin. Interesting that Councillor Bortolin added new insight during the tour, of a proposed senior retirement project planned for an empty site near the Main Library. The Councillor also stressed the point of a large concentration of people living in vertical apartment buildings in close proximity to Windsor’s Main Library. It begged the question why the City and Library Board would ever even consider potentially abandoning such a great Main Library building to relocate lesser elsewhere. At the end of his tour, Shawn also mentioned his memory of his mother working at Windsor Utilities as we walked by that building. It has been said that Canadians more than many other nationalities, seem to define themselves by their jobs. Reminded how terrible it must be for so many Canadians prevented from working or unable to find work.